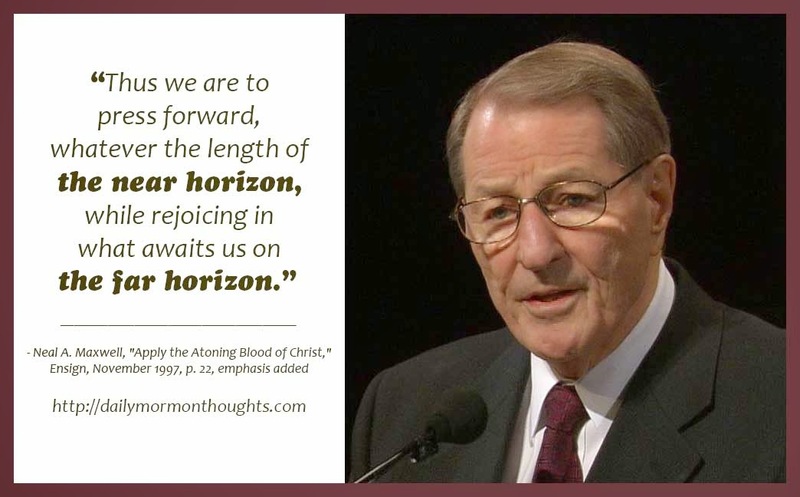 "Mortality presents us with numerous opportunities to become more Christlike: first, by coping successfully with those of life's challenges which are 'common to man[kind]' (1 Cor. 10:13). In addition, there are also our customized trials such as experiencing illness, aloneness, persecution, betrayal, irony, poverty, false witness, unreciprocated love, et cetera. If endured well now, 'all these things' can be for our good and can 'greatly enlarge the soul,' including an enlarged capacity for joy (D&C 122:7; D&C 121:42). Meek suffering often does the excavating necessary for that enlarging! My admiration goes to my many spiritual superiors who so exemplify for us all. In the world to come, to these, the most faithful, our generous Father will give 'all that [He] hath' (D&C 84:38). Brothers and sisters, there isn't any more!" 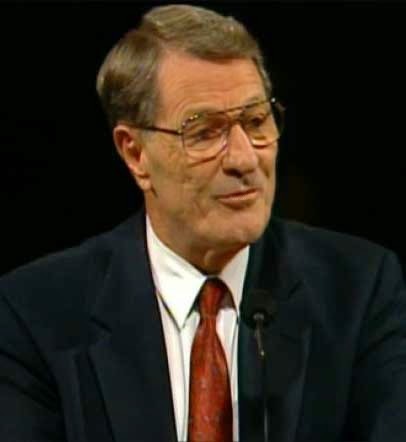 Elder Maxwell was diagnosed with leukemia in 1996. Against the odds, he was in remission by the time he spoke in the October 1997 general conference. As he discussed his "delay on route" he must have had particularly poignant feelings. I'm fascinated by his insight into the "why me?" question. We usually think of that when we're struggling or suffering; but we rarely do when we feel blessed or spared. I acknowledge a number of both types of "why me?" instances in my own life—but actually, quite a few more of the blessing kind!